"Association of Customs Brokers" provides services for the delivery of goods from Japan. We take care of all issues related to this process, from the selection of the most suitable type of transport, finishing the procedure of customs clearance. The "Customs Brokers Association" established effective communication with a variety of carriers and logistics companies operating in this region. Delivery of various Japan's maritime transport of goods. We have experience of transport by sea, groupage, oversized, bulk, bulk, operating and other types of cargo, as well as automotive and other vehicles (including CKD). It can be delivered from Japan to Vladivostok and other ports (with a detailed list of experts will acquaint you). Delivery of goods from Japan to Russia by air. The fastest option when choosing which transportation "door to door" takes about 1-5 days. In this way can be transported a wide range of goods. Combined cargo transportation, in which the combined delivery of different modes of transport (for example, to the territory of the Russian Federation - the sea, in Russia - by road, rail or other means of transport). We work only with reliable carriers having their own fleet of vehicles, timely serviced in accordance with all the requirements of the original manufacturer's specifications and guidance documents. 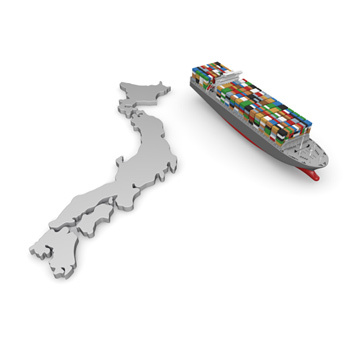 Logistics companies, engaged in the delivery of goods from Japan, have all the necessary licenses to operate. This ensures that no any problems in cooperation with them. Organization of transportation of any cargoes from Japan from "A" to "Z". From you only need to identify the start and end point, and agree with the manager of the company in the most convenient conditions of work with the company. The ability to track goods in real time. Strict adherence to deadlines, without disturbing your plans. Competitive tariffs (prices for delivery of goods from Japan learn from specialists). 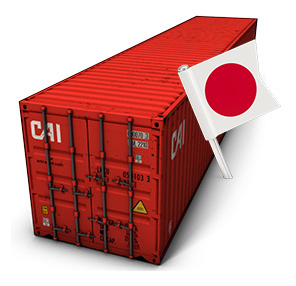 "Association of Customs Brokers" has experience of various supplies of goods from Japan. Contact, and we will arrange the transportation of timber and lumber, chemical products, fish, crustaceans and other seafood, textiles, automobile parts, household appliances and so on. Delivery of any goods is organized in accordance with their characteristics, that guarantees safety. If you are interested in shipping from Japan, the price of the terms of cooperation with us, and other issues, please refer to the company specialists. Here, you get expert help to minimize all possible risks.